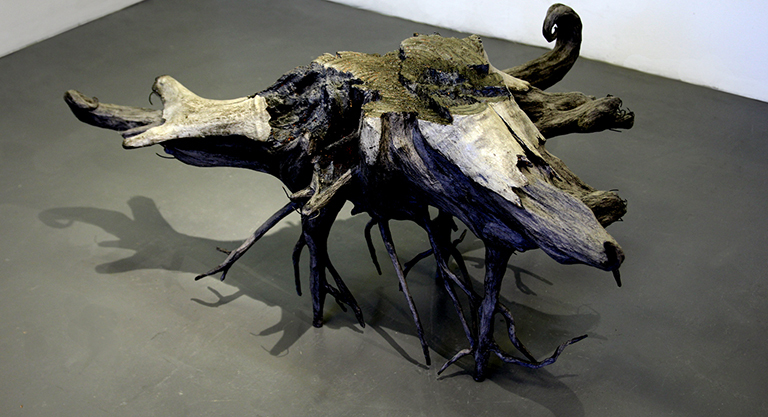 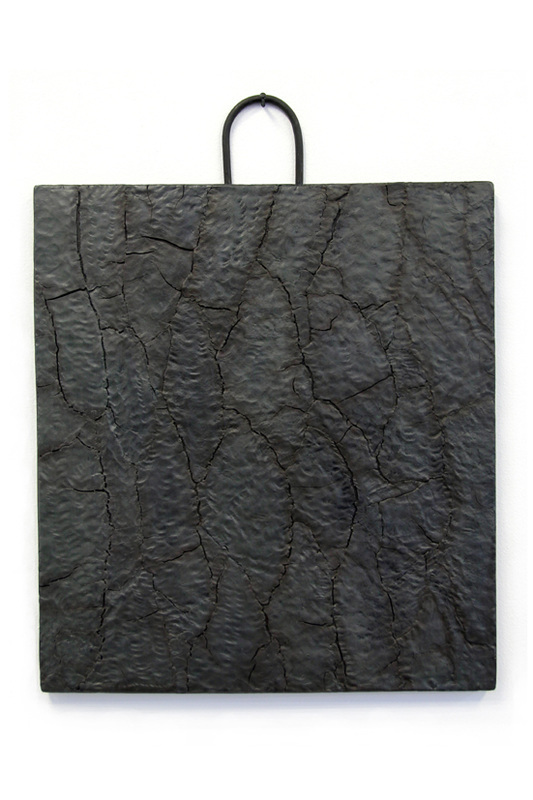 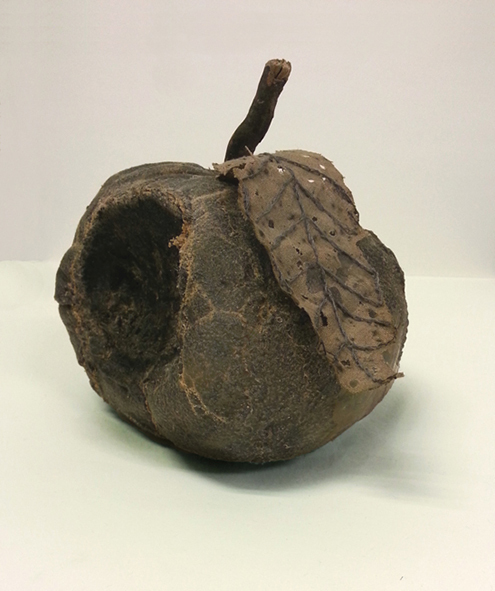 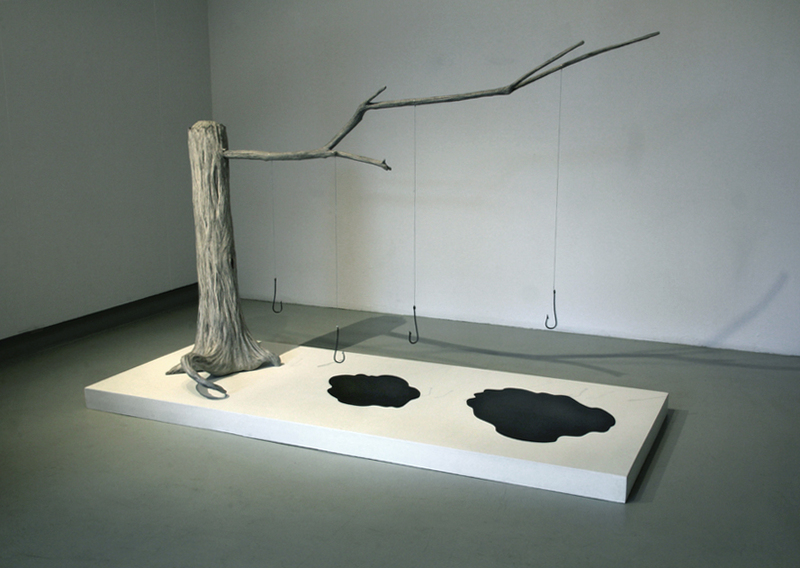 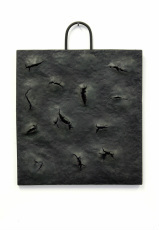 Identy Loss, 2011, stuffed and waxed cotton canvas, iron, wood. 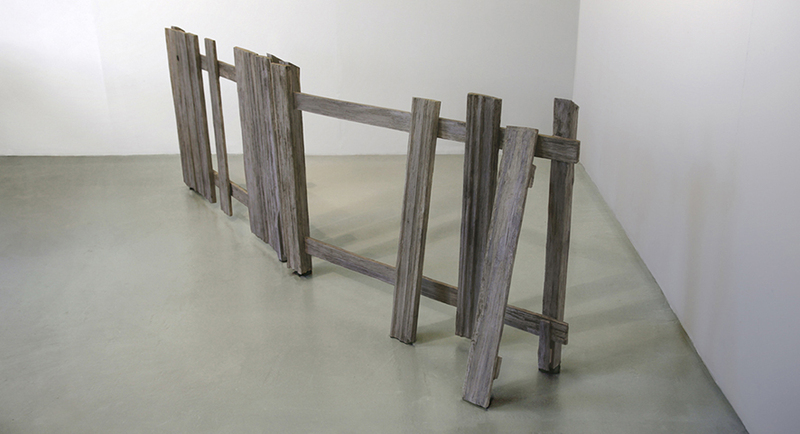 55x116x13cm. 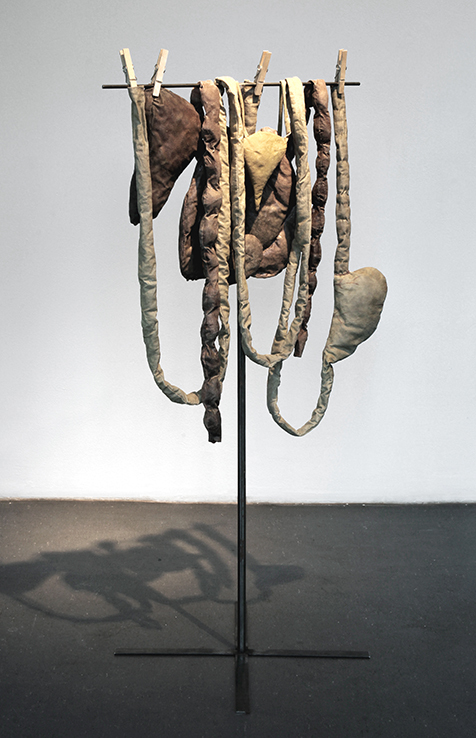 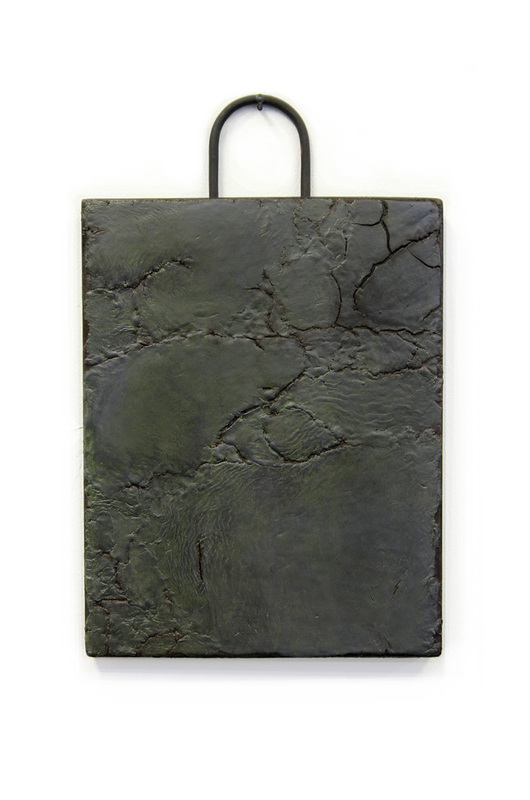 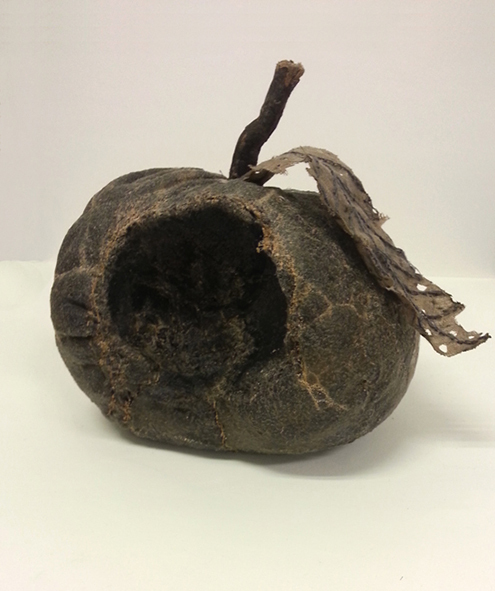 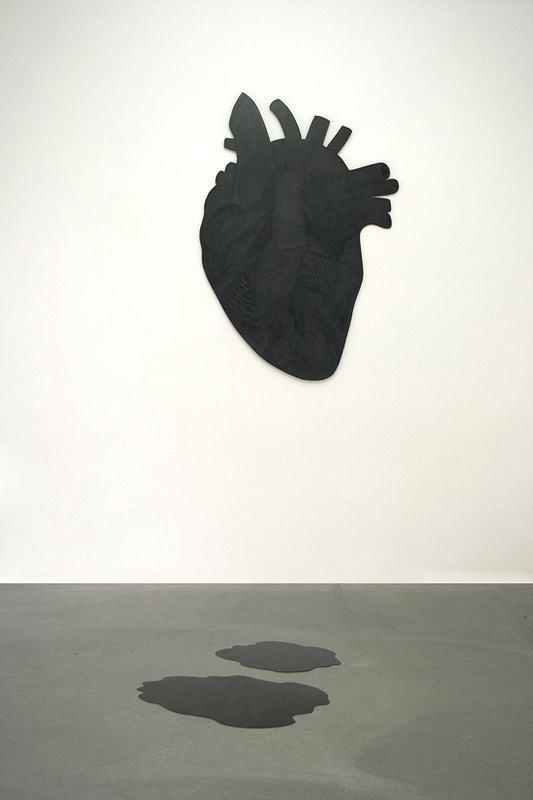 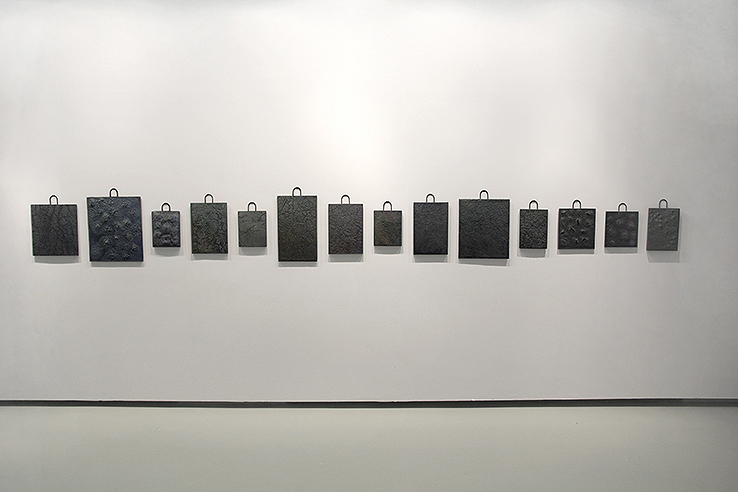 Carrier, 2013, stuffed and waxed cotton canvas, iron, 154 x 14 x 75 cm. 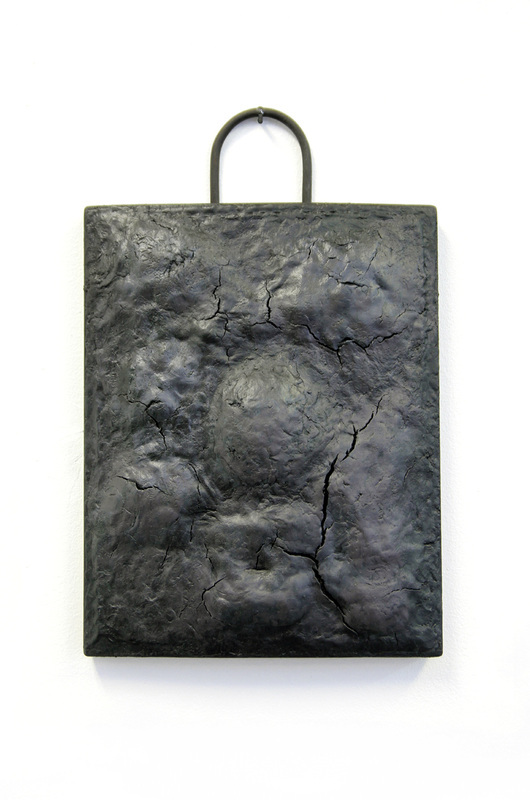 Pendant, 2013, wood, acrylic paint, acrystal, iron. 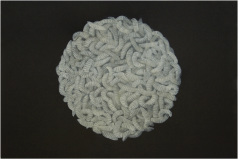 260 x 110 x 80 cm. 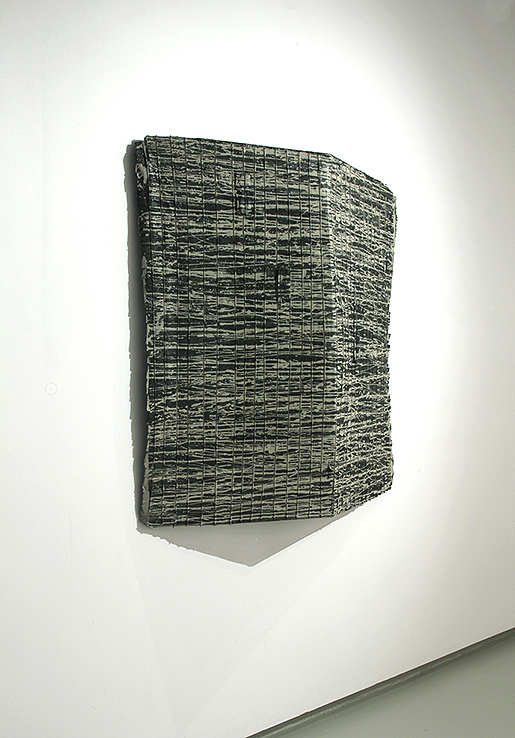 The unspoken, 2013, acrylic paint, cotton canvas, wood. 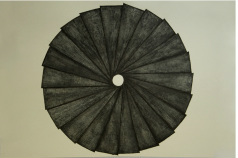 130x135cm. 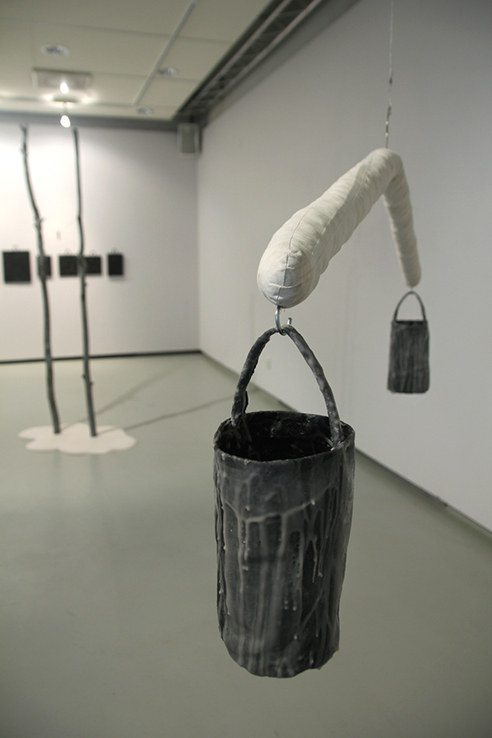 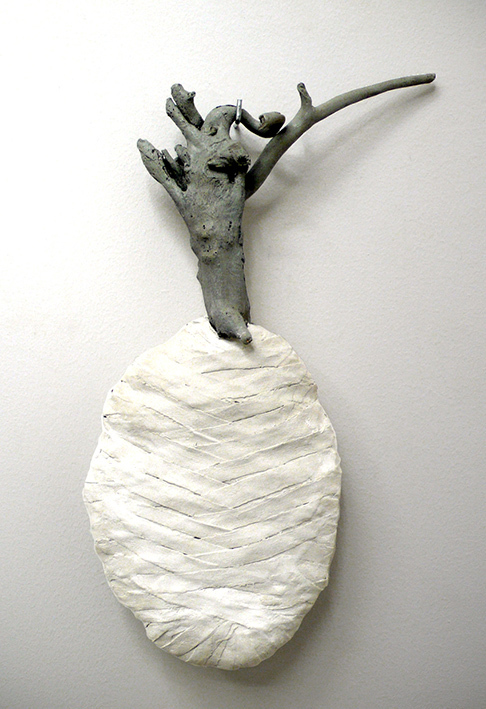 Bandage stick, 2010, plaster, wood, 45x20cm. 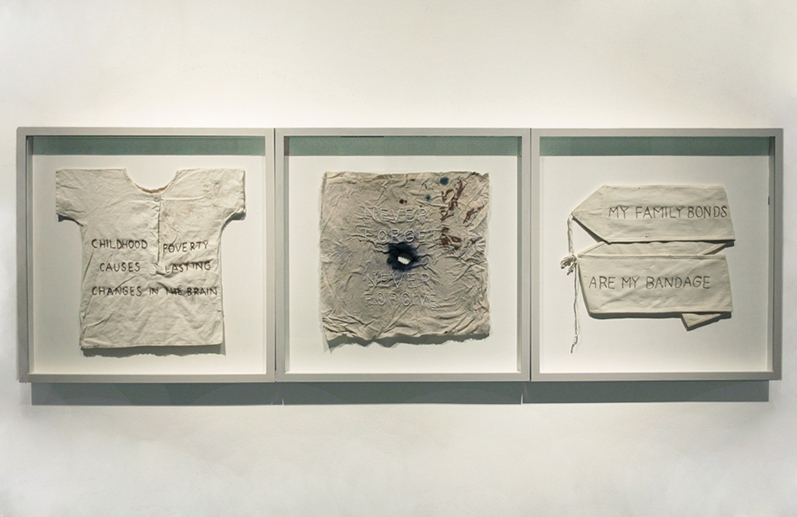 Poverty, never forget, family bonds, 2012, embroidery on cotton fabric, 50 x 50 cm. 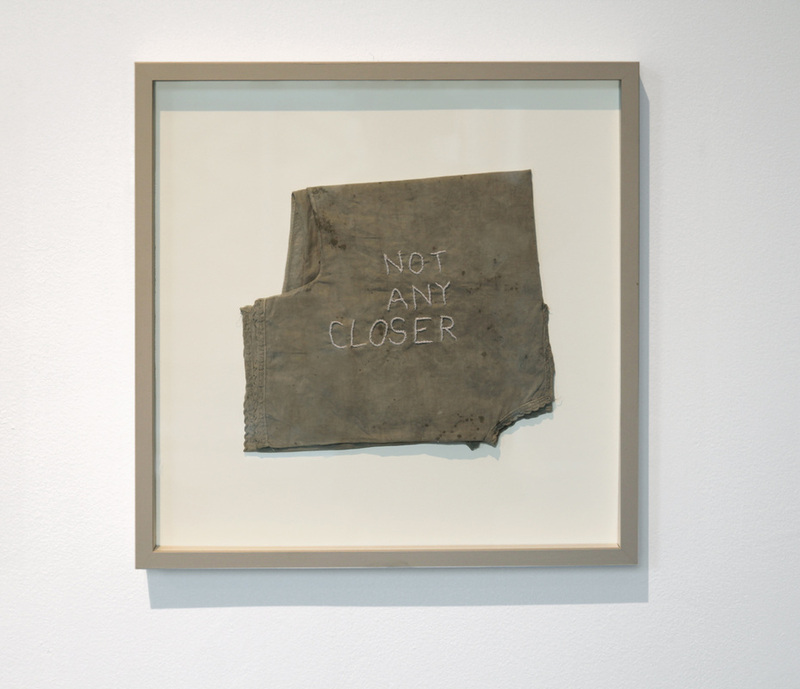 Not Any Closer, 2012, framed embroidery, 50x50cm. 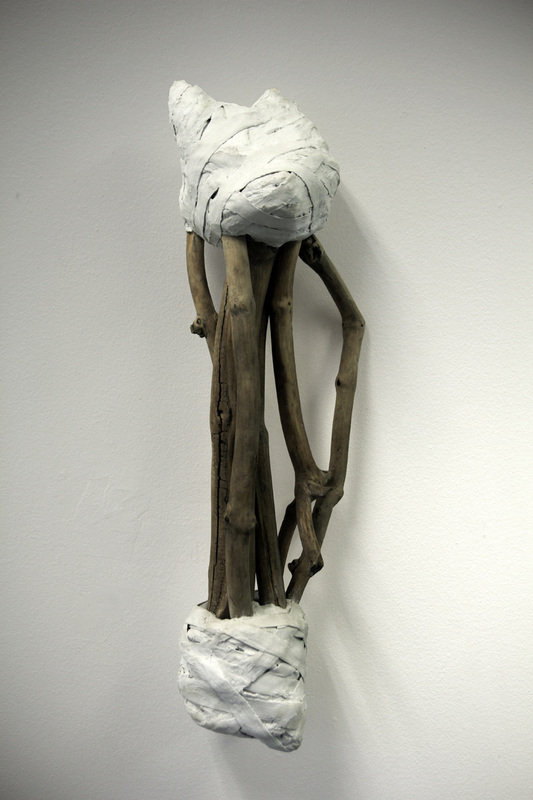 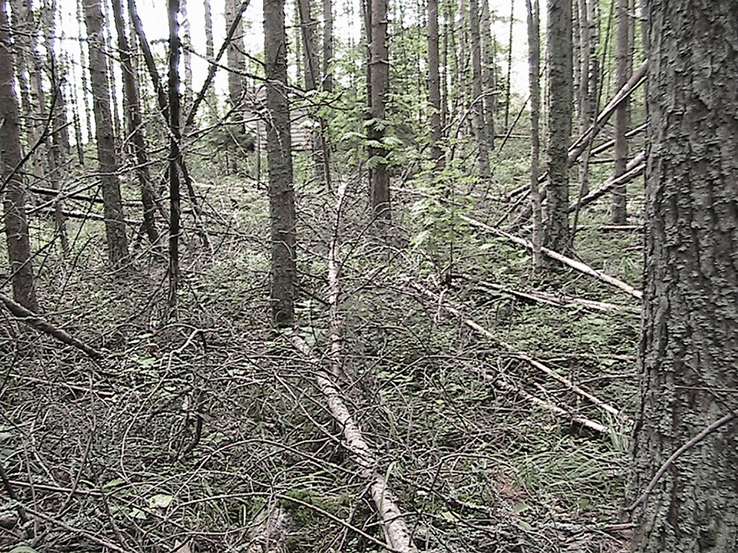 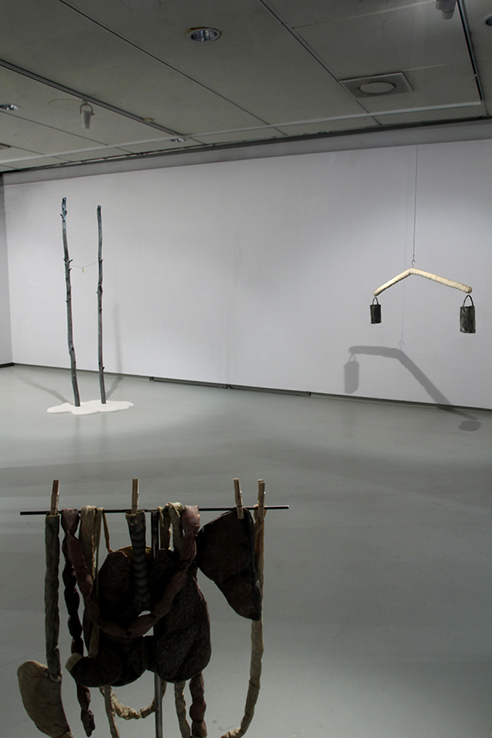 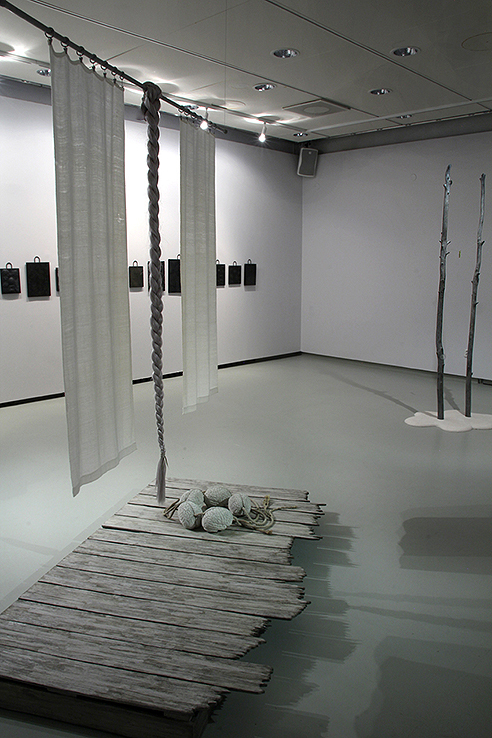 Sticks, 2012, Plaster bandage, Wood. 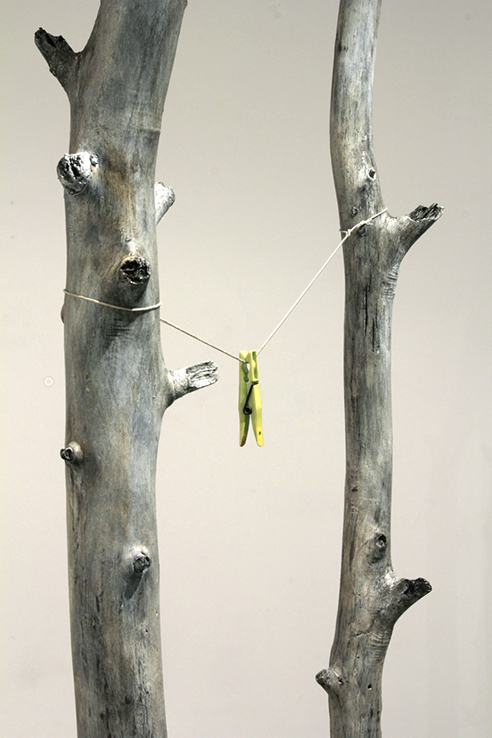 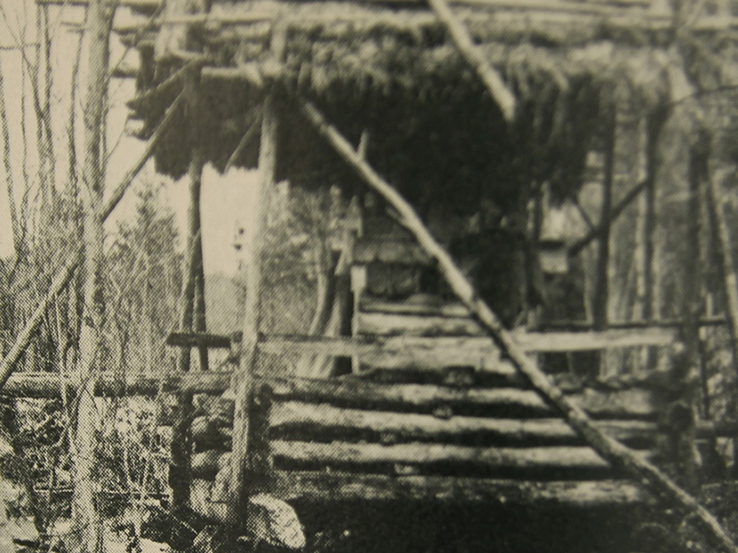 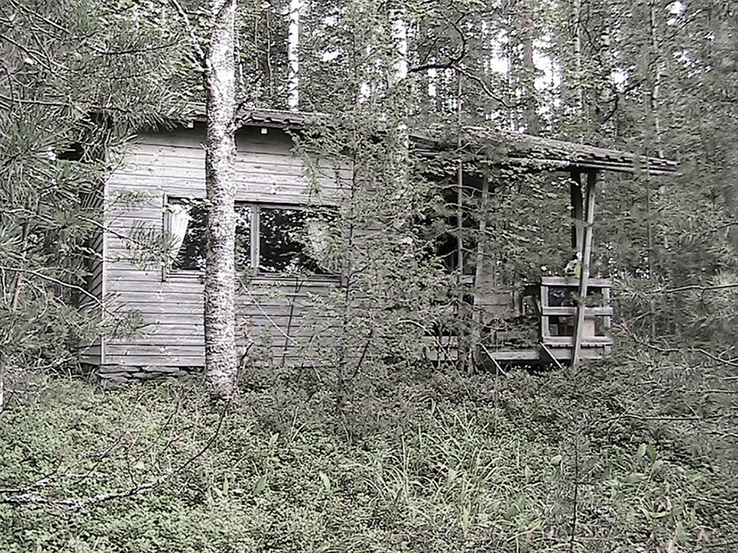 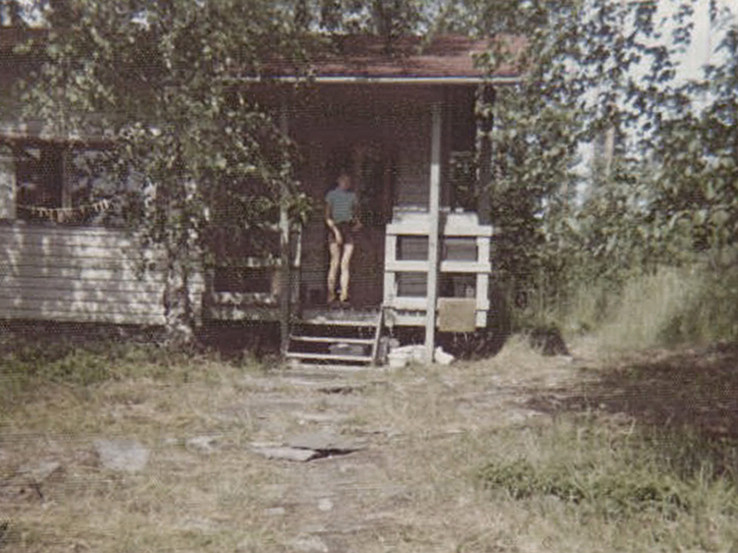 37x 12x 14 cm. 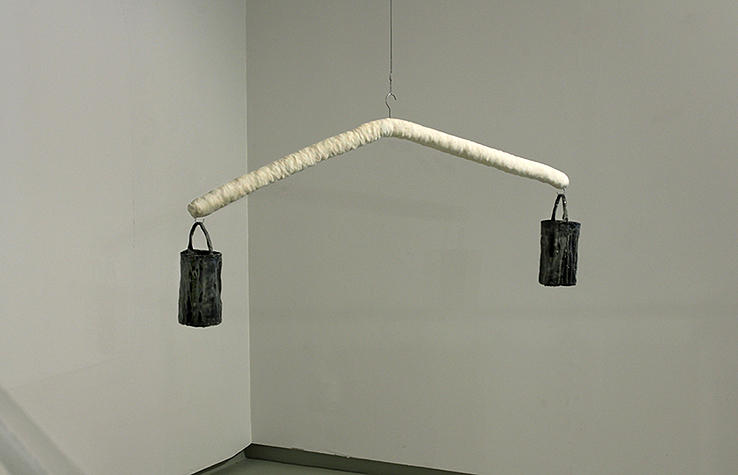 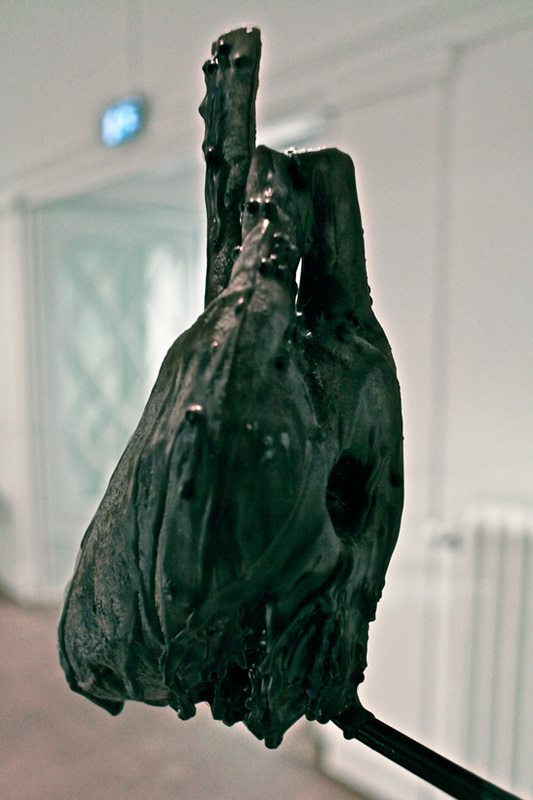 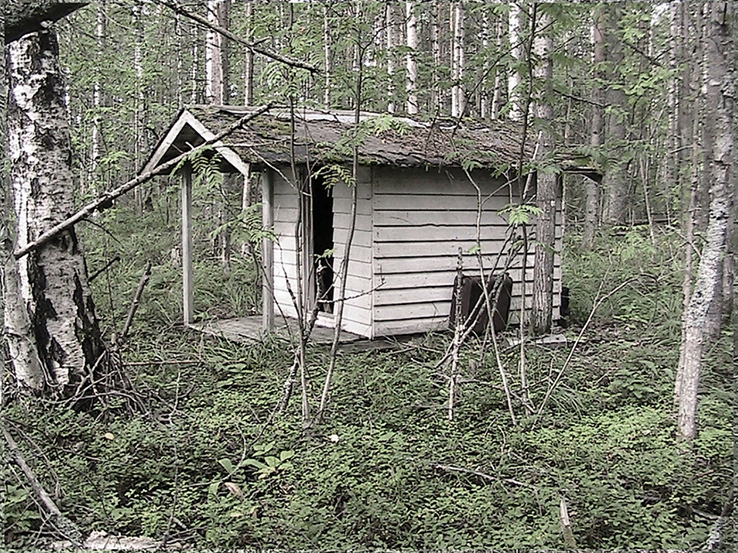 Pump III, 2012, Mixed Media 16x 32x 9 cm. 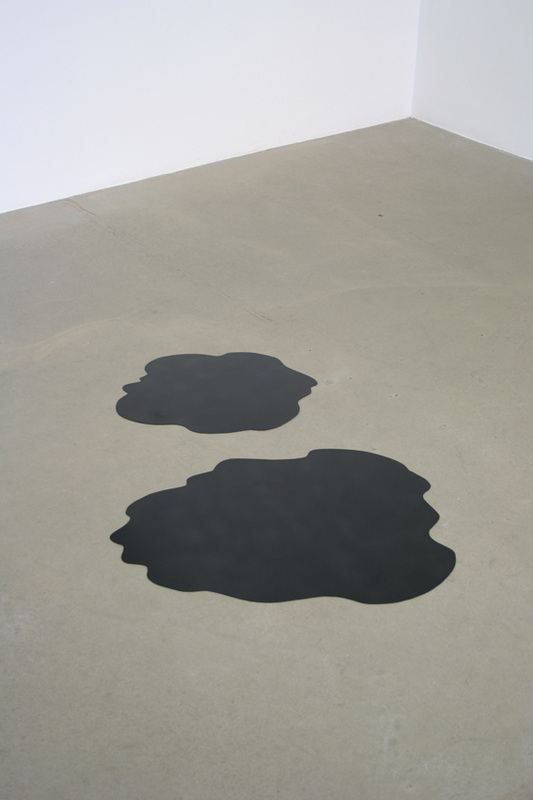 Dark Puddles, 2010, spray paint on stainless steel, 40x51cm. 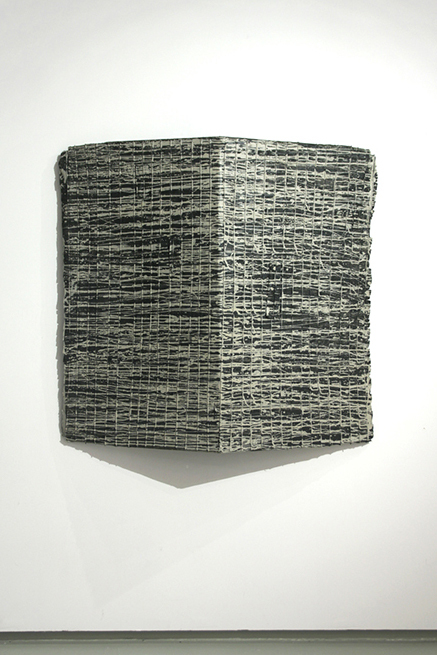 / 68x53cm. 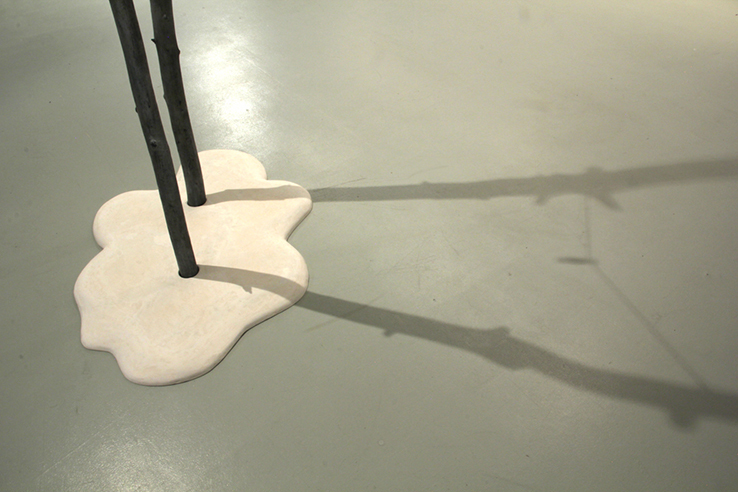 Pump, 2010, Acrylic paint on MDF-board. 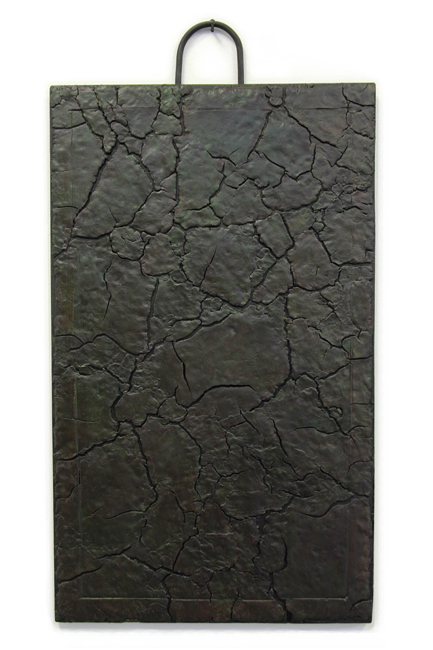 140x100cm. 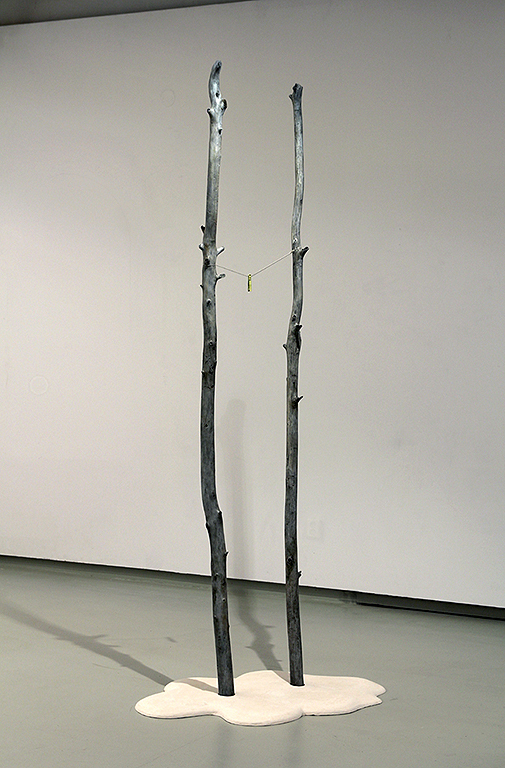 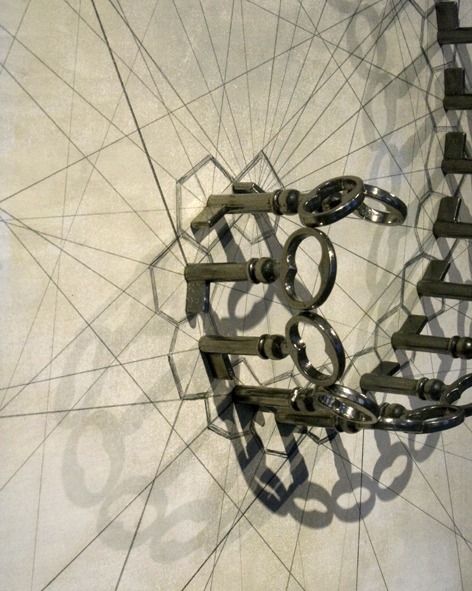 Fisherman, 2012, papier masché, iron hooks, spray paint on stainless steel, 245x100x150cm. 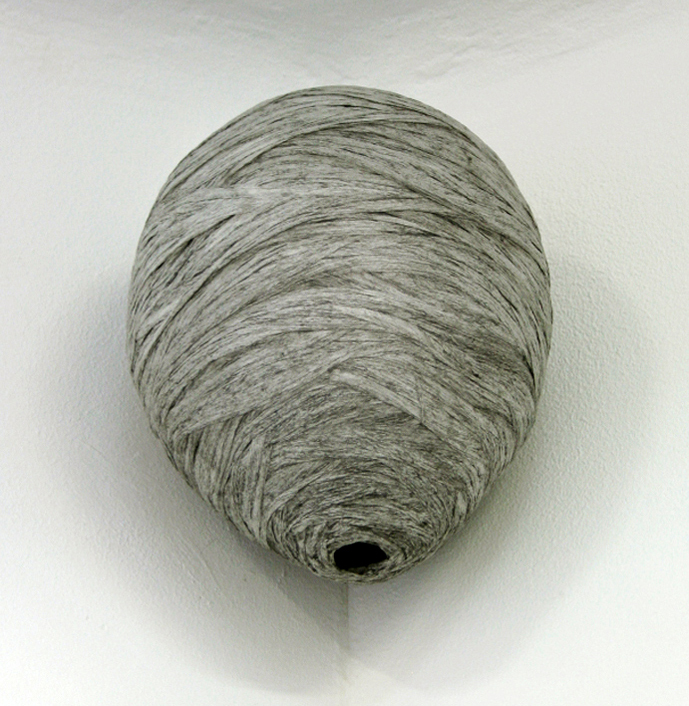 Fragment/Wasp nest. 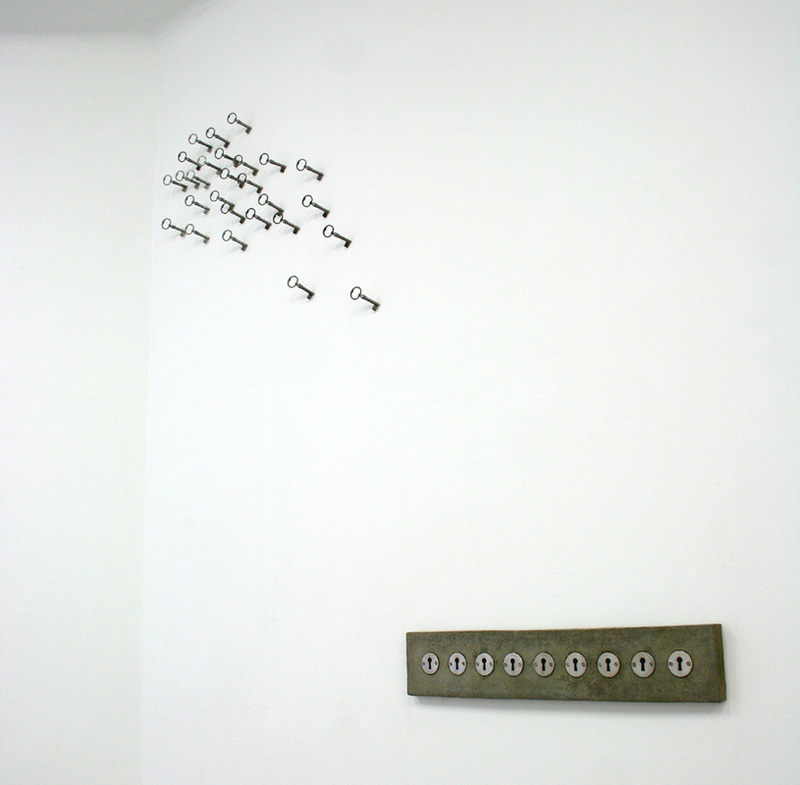 2010, wall object, Papier masché, 33x25cm. 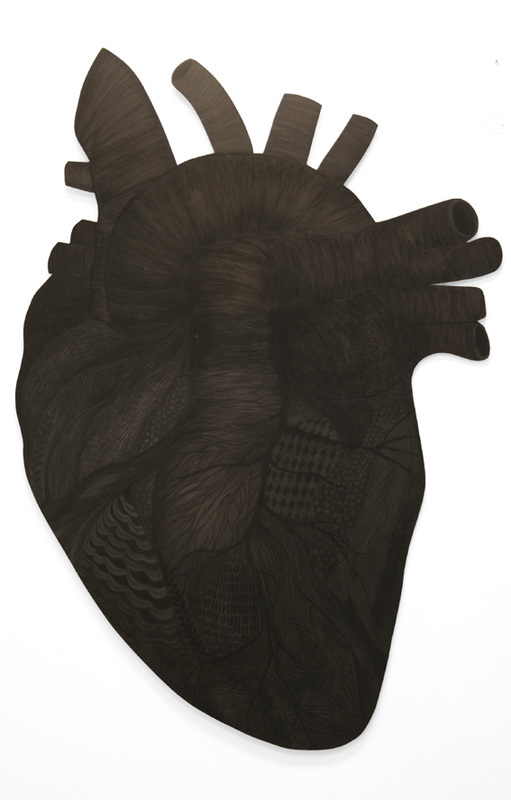 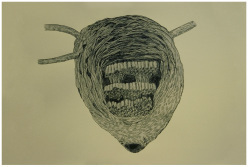 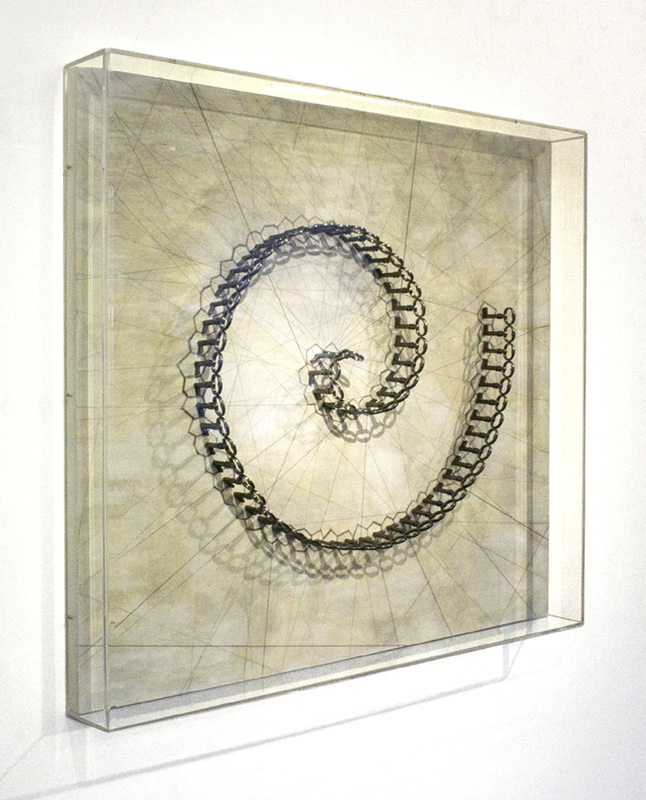 Spiral Map, 2009, Pecil, iron keyes, board, plexiglas, 90 x 82 x 10 cm. 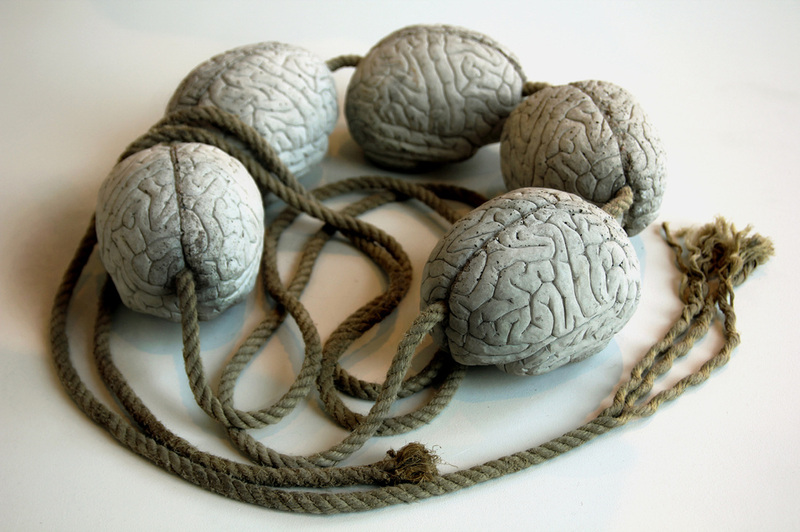 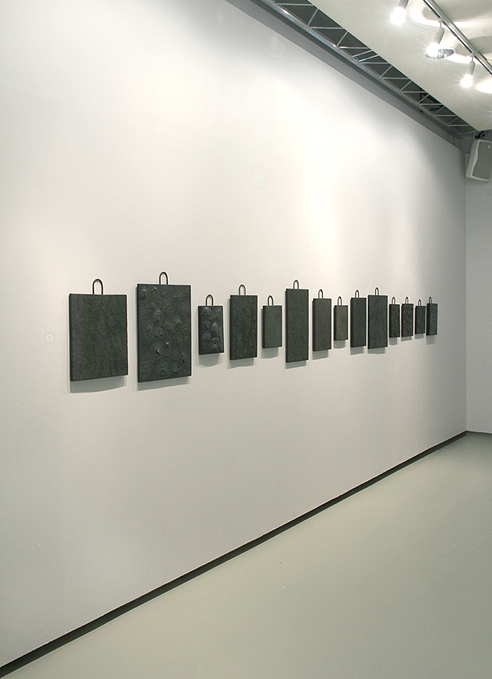 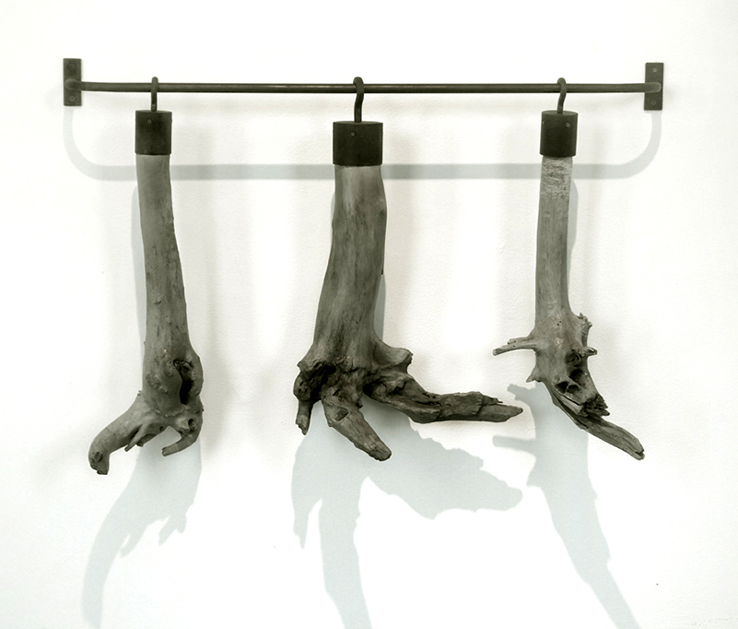 Flock & Row, 2008, Dimensions variable, Concrete, Iron.